I spent several years before I was a teacher working at *a well known cinema chain* which meant I got free cinema tickets and watched pretty much everything. The trouble was I could only go to the one cinema chain. These days I still go to *well known cinema chain* because it's close to where I live but also The Electric which is a fabulous little independent place, where you can book a sofa to sit on. 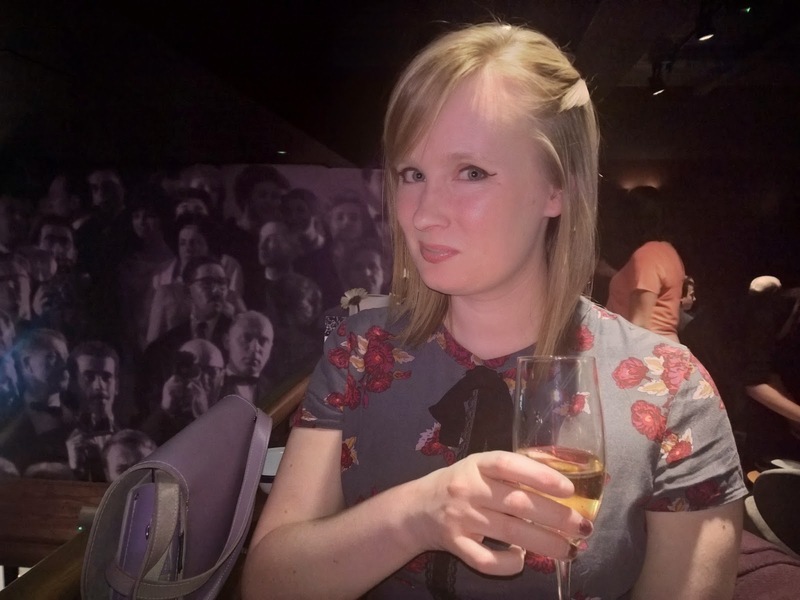 So imagine my excitement when I heard about The Everyman opening at The Mailbox- a cinema with only sofas to sit on, as well as a stylish bar area. 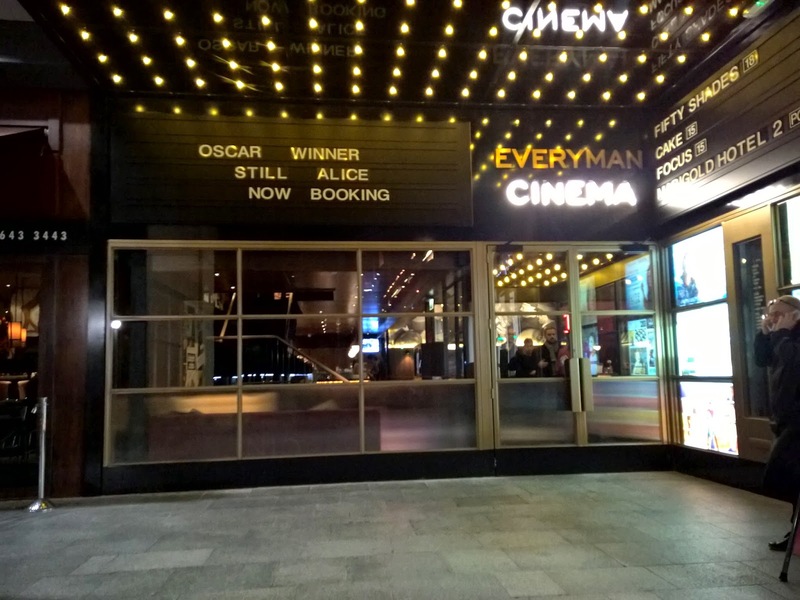 Edd and I went along on Wednesday night for a special preview screening of Still Alice. I loved the outside area- it feels like a real destination with bright lights and traditional signage. I was surprised by how large it was when we got inside. 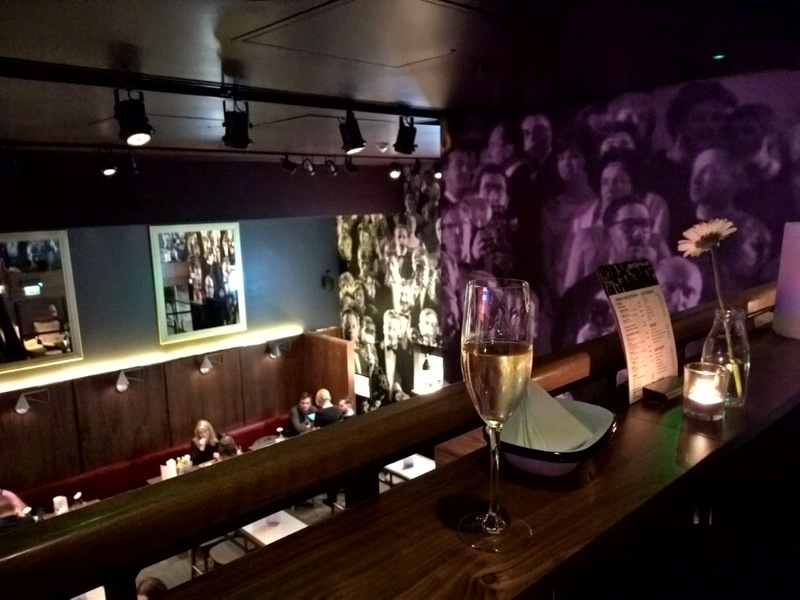 I was expecting the standard cinema foyer but was greeted by a stylish bar/restaurant area. Only the smell of popcorn gave it away. We were quickly greeted and sent to a lovely seating area. This gave us chance to really take in the atmosphere. I loved the walls covered in giant retro photos, the excellent music playing (lots of music from films) and the cool furniture. I liked that there is a bar area- it would be great to get there early and have a cocktail and a burger or pizza and then take another cocktail and a snack into the screen with you. That's a whole evening out all in one place! There are three screens as well as the bar area. I was surprised by how much room there was. Apparently they went down into the Mailbox as well as using the unit at street level. We had the chance to sample some of the food on offer. The pizza dough was great- I tried the 'Special' pizza which was speck ham and caramelised onion. 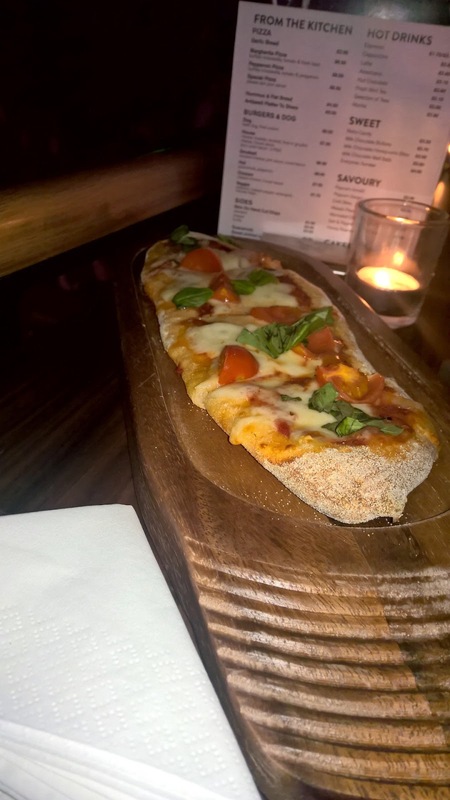 The Margherita was one of the nicest I've tried, the mozzarella was beautifully creamy. I also tried the hot dog. 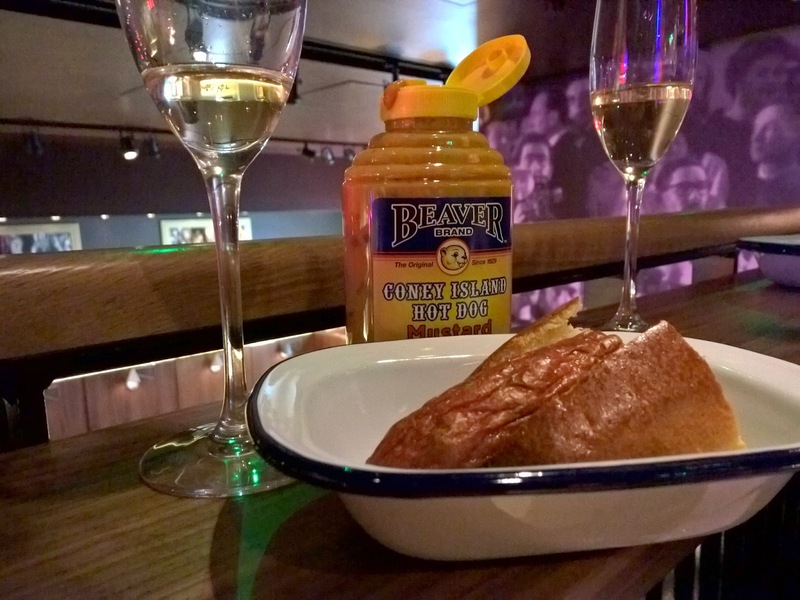 The sausage itself was better than your standard cinema hot dog and the bread was brioche. The sauces on offer were great quality too. 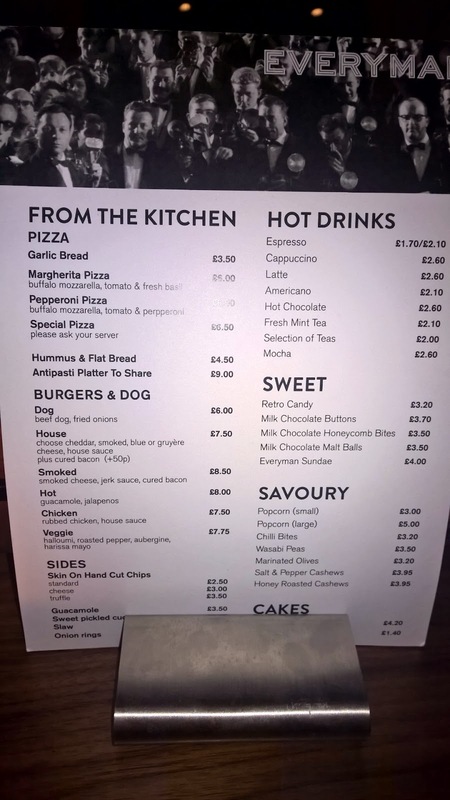 Despite this, I still probably wouldn't order it in future- I'd rather go for the gorgeous pizza! As well as the main bar area there are little bars outside each screen, so I grabbed a diet coke. In a glass bottle of course. The screen itself was gorgeous. Beautiful fabric sofas in rich jewel colours along with cushions and little side tables. They were cleverly laid out so everyone has a great view. Now onto the film. Julianne Moore won Best Actress for her performance in Still Alice and I completely understand why. It was a moving portrayal of a successful woman battling early onset Alzheimers. It was pretty great to sit on a comfortable sofa too! You can order food to have brought into you but I don't think I would bother- as mentioned earlier I'd definitely eat before the film and have a little snack in the film. The Everyman is a perfect addition to The Mailbox. With this and Gas St Social opening soon, I have high hopes for the revamped Mailbox. I'll definitely be back to The Everyman- it will go on my cycle of *chain*, Electric, Everyman! Tickets are around £12.50 which isn't hugely more than a standard cinema and you are paying for an excellent and comfortable cinema experience. 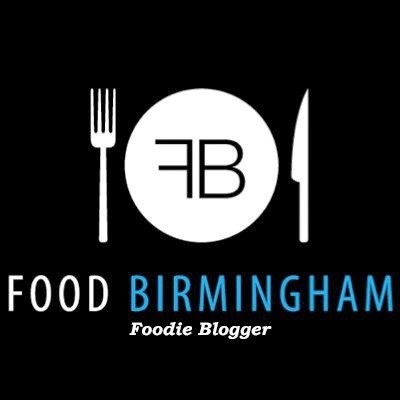 This looks great, Birmingham is just ace! Great review. I am hoping to go soon!